There you are, blissfully going through your daily routine of cooking, chopping veggies, daydreaming - in general just going through your day to day chores. Then suddenly one day your husband is in a good mood and offers to sharpen your knife to make your chopping easier. You think your knife is all good - but husband offering to do anything is rare and you think you should let him! He sets about the task and in about 10min you are asked to test drive. You are indifferent but you do it anyway. You chop that tomato and the knife goes sharp down, slicing neatly without even a little bit of squish to the tomato. You are shocked! Hey - waiiitttaaaminute? What happened just now? You chop some more and realise that your job got done in half the time and much neater than all these months and to think you thought your knife was working perfectly fine! OPOS® was EXACTLY like that for me when I was first introduced to it. Invented by Ramki of One Page Cookbooks fame and developed further by a group of like minded members , this One Pot One Shot cooking technique is unlike any other in the cooking world. I did not know I needed it until I started using it. It uses one of the most staple gadgets in an Indian's household - Pressure Cooker, to make well rounded, wholesome, simplified, quick, effortless and nutritionally superior day to day recipes. That's a long claim isn't it? It sure is and from what I have witnessed, I have to agree. People who know me are aware of my penchant for Green Living and that aspect of OPOS® drew me to it. Extremely less/no water wastage, low usage of electricity/Gas, less number of dishes to wash, a complete meal in less than 20-30 minutes of almost hands off cooking has made me a student of this technique. Will talk about it more with recipes to come in future. Until then, let's get into a recipe using this technique. We had abundant harvest of tomatoes from our home garden and I decided to use them to make a family favourite - thokku. Thokku is a South Indian equivalent of a pickle. This tangy pickle makes use of only Tomatoes (Thakkali) since I had to use them. But you can add in Onions and/or Garlic to make for variations. Please make sure to follow every instruction as given in order to enjoy the benefits of OPOS® cooking. Like baking, it is a precise science - worth a study; but once done, you will be rewarded with extremely satisfying results! Substitute some of the tomatoes with peeled Garlic to make Tomato Garlic Thokku. 1. Tamarind: The addition of Tamarind is only in cases when your tomatoes are not sour/tangy. Depending on the sourness, adjust the tamarind accordingly. I used a mix of different varieties of tomatoes from our garden and few were tangy enough, hence skipped its addition. I find different brands have different concentrated pastes, so use your prudence in deciding the amount. If you do not have concentrated paste, you can add 1 amla (gooseberry) sized tamarind - deseeded. You can also use a little bit of Vinegar instead of tamarind. 2. Jaggery: If your tomatoes are naturally very tangy/sour, addition of some jaggery helps to balance it out a bit. I added the required amount in this recipe to help compliment the tomatoes. 3. Red Chilli Powder: If you like your thokku/pickle spicy, I would recommend adding a generous tbsp (at least) of Red Chilli powder. Otherwise add Kashmiri Chilli Powder to give you the bright color without too much heat. 1. Cut the top of the tomatoes and chop them roughly into smaller pieces. Or pulse for few times in your blender to make a coarse slush. I keep the skin, hence in this method you will find the end product with bits of skin in every spoonful. If you would rather prefer a smooth paste, I would suggest peeling the skin before hand. Bring some water to a boil, add the tomatoes and let it sit in a closed pan for 5 min or so. Remove, peel the skin and use. 2. I used a 3 liter pressure cooker. Add 1 tbsp oil ( or even 2 tbsp if you like). I would recommend Sesame oil for a traditional taste. 3. Layer the tomatoes on top. If you want to use garlic/onion/or both, mix it along with tomatoes and proceed. 4. Add the dry spices - chili powder, salt, turmeric, fenugreek and asafoetida next on top of the tomatoes. Note: Please DO NOT add the spices first since it will burn. It should not touch the bottom of the pan. 5. Cook them at med-high flame for 20-25 minutes for 30+ whistles. Forget the whistles, just go with the time. Also make sure you are around to check your pressure cooker when you are first making this recipe just to know if it's working properly. If the first whistle doesnt come within 2 minutes, check your cooker to see if the steam is not escaping the sides/ or if your safety value is not working. Since we are going with time for this recipe, making sure it's working optimally is essential to prevent burning. 6. Switch off and open cooker after the pressure settles. 7. Check to see if your thokku is in a perfect consistency of your choice. 8. Depending on the variety/quality of your tomatoes, it might be more watery or thicker than this recipe picture. Mine was almost perfect. 9. Since I needed it a little bit thicker, I placed the cooker again on high heat You can also at this point do a taste test and add more seasoning if needed. 11. While that's happening, heat up the remaining oil and once hot, add the mustard seeds. 12. When it pops, add it to the prepared thokku. 13. Mix well until blended. 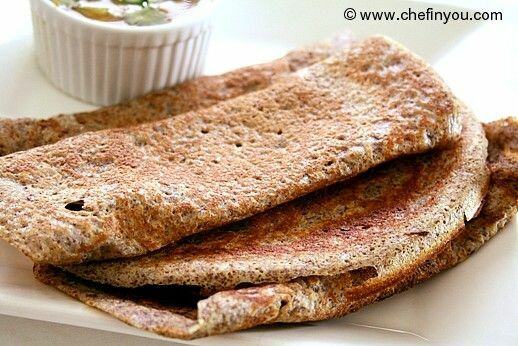 Enjoy as a side to Idlis, Dosas, Parathas or Rice based dishes. Hi DK - I have a non-whistling US pressure cooker. Will it be the same timings for OPS cooking in this cooker? Also, I put the weight after the steam starts coming and usually count minutes after that. That means additional minutes of cooking happening before the weight is placed. So I am confused as to how to estimate cooking time for OPOS recipes. Thank you in advance for any suggestions. I tried this recipe for first time. It came out really well. My hubby liked this very much. Thank you. Absolutely stunning images. Nice recipe. Thanks for sharing...! Omg!! Tomato thokku is my absolute favorite. I remember my mom cooking it all the time with thepla/poori. I have to try this one now. Thanks for this recipe! If you are using jaggery, then at what stage will you add it? Before pressure cooking along with red chilli powder etc or after, when we place it on the gas for final rounding off cooking? Thanks!